The existing Board of Trustees will expand further in April, when eight additional Trustees take up their appointments. Teresa brings with her a wealth of experience that spans R&D, management and leadership in the higher education and public engagement sectors. Teresa also chairs the Association of Science and Discovery Centres and has a deep personal commitment to encouraging a wide range of people to engage with, and realise their potential in, science and engineering roles. In 2014 Teresa was awarded the Institute of Physics Kelvin Medal for Public Engagement with Physics, and in 2013 she received an MBE for services to Astrophysics. As Director of the Jodrell Bank Discovery Centre, Teresa has devised and implemented novel ways to engage new and harder to reach audiences and directs strategic projects to support engagement with Astronomy and Physics research across the UK. 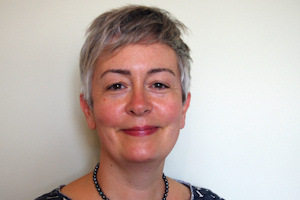 Teresa will join new and existing members of the Trust's Board of Trustees who make invaluable contributions to the Trust's governance and support the Trust as it develops towards its vision of seeing every UK university that supports STEM research hosting and sponsoring Daphne Jackson Fellows on an ongoing basis. "I’m passionate about equality and diversity in science and engineering. Much of my work to date has focused on encouraging young people to choose this area for their future careers", Teresa explains. "I’m looking forward immensely to working on this same issue in a different part of the career path, ensuring that we keep as many talented scientists and engineers as possible working in research in the future." Katie Perry, Chief Executive of the Daphne Jackson Trust, said: "This is an exciting time for the Trust. I am delighted that Teresa has been appointed as Chair and am looking forward to working with her as we develop the Trust further. It is always a great pleasure to work with new Board members and introduce them to the inspirational work that the Trust does in supporting fellows as they return to research careers. In this latest round of advertising the Board has appointed some excellent new Trustees with a great range of skills and experience." Patrick Johnson, Head of Equality and Diversity said: "This is fantastic news for Teresa and for the University. We are committed to supporting and advancing the careers of women in STEM and the Daphne Jackson Fellowships are an excellent way to support our ambitions and especially our Athena SWAN work."